DLF writers Adam Tzikas and Nathan Powell throw down about potential points. 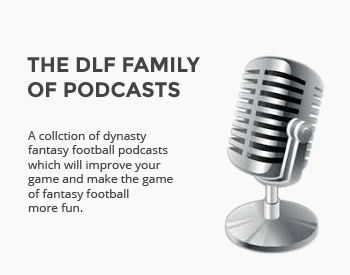 One of the great things about Dynasty Twitter and forums like the DLF forum is that they are place for people to debate various things about dynasty leagues. The more common debates revolve around players like Andrew Luck vs Cam Newton or David Johnson vs Le’Veon Bell. One of the things that can be even more fun that player debates are the validity of various dynasty rules and settings. 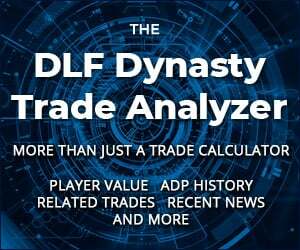 In this article, DLF writers Nathan Powell and Adam Tzikas will debate whether potential points should be how draft order is determined in rookie drafts. I’m commissioner in a league that just changed to potential points this past season for the exact reason of avoiding tanking. What do we think about an owner that does not drop players that are not on any NFL roster (like Fred Jackson or Calvin Johnson) when they could pick up someone that potentially would help their team? Or if a team does not use all of it’s available roster spots or does not move injured players to an available IR spot? Would you consider this to be a form of tanking? This whole “tanking” premise is ridiculous. You are an idiot if you are trying to intentionally hurt your draft status once you miss the playoffs. OF COURSE YOU SHOULD BE TRYING TO GET THE FIRST PICK!!! 1. Who are you to determine what “tanking” is? Are you not going to allow someone to rebuild? Technically they are tanking.Why is that Ok? Isn’t throwing away an entire season to acquire young players or future picks a lot worse than losing a couple of loser bowl games on purpose….to, you know, get better draft picks. 2. Who are you to determine what the “best” lineup is or what the person is really thinking. What if they had a family emergency and didn’t set their lineup? What if they had a family emergency and their “tanking” lineup actually turned out better? Are you going to reset their lineup to the one with less points? Bottom line is your league should not be set up to award tanking. The winner of our loser bowl gets the first pick every year. 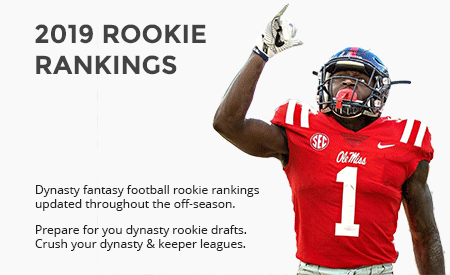 In our pure rookie draft the order is random. Unless you are trying to miss the playoffs on purpose, there is no reason to ever not put forth your best lineup in our league. If the rules reward tanking…you SHOULD be tanking. If the rules reward tanking you also need to find a new league. i was in a potential points race this year..but instead of keeping guys like shaun draughn..i added guys like adam thielen and adm humphries.. i didnt get 1.01..ended up with 1.02..but also have way more assets on my team than the guy who owns bishop sankey..
i would just reach out to that owner and give him like a 3 strike approach..its clear tanking….have something in your bylaws that actions will be taken at the end of the year..thats what i have..
Good debate, guys. The reason I support using potential points is pretty simple. Using records awards either bad management or bad luck as often as it awards bad teams. If the goal is to at least try to make sure the empirically worst team gets that first pick, potential points is the only way to go. No one here defined what a potential points rule is. How does it work? Total points for the best possible lineup each week, starter or bench doesn’t matter. I am very much against using PP as a means of deciding the 1.01-1.06 rookie picks. I feel it’s a lazy way of policing leagues. As Nathan stated above, PP is unfair to teams with depth (stronger benches) whereas it benefits teams that are top heavy (built w/ studs and duds). Imagine this.. you’re actually trying to win but pick the wrong starters each week on your team with “depth” then because of your misfortune you miss the playoffs and should be due the 1.03. However, based on the misguided PP rule your bench was too strong on those games you (fairly) lost, so now you get the 1.06 instead. I could easily something like that causing a good, active owner (someone who makes trades and has a deep roster) in leagues to quit if they feel they were victims of a horrible and unfair rule like the use of possible points to determine the 1.01-1.06. My solution is to implement a One Warning system in your league by laws. 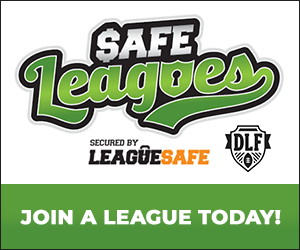 As a commissioner, I continuously encourage the owners in my leagues to assist me in policing. If owners see another team starting a lesser player over an obvious (choice) starter or someone not setting a full lineup, I ask that they let me know. My rule works like this: If an owner either (A) fails to submit a full roster or (B) sets a highly questionable starter to play over a marquis player (without great cause) they get issued a written warning. When I issue warnings, I do it on the League Message Board. If the owner receiving the warning wishes to argue their case, they are welcome to do it. If an owner commits a second offense in the same season, included through the playoffs (only if seeding is still being determined) then they are immediately removed from the league without a refund. Holding owners to this type of open accountability has almost completely eradicated tanking from the leagues I run. The fact is most of us are grown men and most of us are playing for money. So, why shouldn’t there be a high degree of accountability? I think that is much more effective than looking at a lazy (imo) system like using PP to determine draft order. @Sean O’Donnell… I respectfully disagree with your first point, specifically the scenario where an owner that has trouble selecting the right player from their deep roster being “punished” by this rule. One of the most important aspects of fantasy is setting your best lineup. If an owner is terrible at selecting the right players to start, he or she should not be rewarded with a higher draft pick. He or she should put their nose to the grindstone, do more research, watch more game tape, and try to improve their weakness of lineup setting. If their team is deep enough that the PP of their bench players is an issue, then they have the assets. They just need to learn to use them correctly. @ Thomas Fitzgerald – I can appreciate what you are staying. However, I was giving an example of someone with a “deep roster” which typically means a team full of mediocre talent and few studs. You can’t tell me a team like that is better or stronger than a team made up of more studs and less mediocre players that scores less PP at the end of the season. That was my point.. why should teams like that with less top tier talent and richer benches get a worse draft pick just because leagues are not willing to properly police themselves. Tanking is cheating and PP is just a way for dynasty leagues to maneuver around it, rather than combat it. I think we often times we may be too focused on handling a particular problem, so much so that we don’t realize our solution may be creating another. That brings to mind another point that I didn’t bring up before. I am also concerned the use of PP to determine draft order could easily cause owners to pay less attention to other owner’s roster submissions because they know the draft order will be determined by PP. The problem with that is it doesn’t account for teams giving away free wins when they in fact should have won themselves. That is unfair to a team that would have legitimately made the playoffs, but didn’t get the benefit of playing a tanking team. Unfortunately, I saw that happen in most of my leagues this year and I’m afraid it would happen a lot more if people payed less attention because PP was determining draft order. The idea of PP is good. Nobody wants tanking in their league. But I agree with Nathan on this. I just feel like the same grounds that is used to figure out picks 7-12 should be the same that are used for 1-6. I feel like PP should only be used in leagues that use Total Points should be used for determining champion. I had a team this year that was a middle of the pack roster. I made moves throughout the year, had weeks where my team blew up, and weeks where they took a dump. More often than not I was unlucky on the blowup weeks, and lost to the highest scorer. Ended up with the worst record, but because PP were used, I’m ending up with the 4th pick. It’s not a deal breaker for me, and I saw it coming all year, but it’s frustrating when a team that has two more wins than I do is sitting with the 1st pick. What I proposed was that instead of total points we recalculate the scores of the bottom four putting best ball into their line up and ignoring the rest of their roster. Yes, there is the gut feeling argument, but because everybody (1-4) has their scores recalculated (and lowest point total from best ball gets the 1st) everybody is subject to the same drawback. It seems to me that no way is prefect. You have to pick your poison on what aspect of anti tanking rules you feel is the least harmful and just live with it, or live with tanking. My rule was voted down because it was not perfect. One guy did not start a line up the entire year to get Fournette. Like I predicted, after week 6-8 more joined the “no line up started” trend. @ Mark Kelly – That sounds like a league I would suggest you leave, or promptly remove those not submitting lineups. You need to find better owners. No way I would I want to participate in a league with owners like that. Draft Pick Allocation systems, of which PP is merely one of many, do not exist to provide your team with the best pick you could have achieved. They exist* to provide the worst teams with the best picks. This distinction is at the heart of most complaints of “i got screwed by PP.” You did not get screwed because “a guy on your bench went off.” That you have a guy on your bench capable of going off in such a manner means you have a better team than one without a bench player who is capable of going off in such a manner. *at least, that’s how it seems to historically have been perceived by mots players. Nathan’s final paragraph seems to challenge this almost fundamental concept, which is a fascinating part of this article and something i hope doesn’t go undiscussed. -i don’t see why deciding the best team should have anything to do with how we decide the worst. they are entirely separate entities, both in how they are determined and in the ramifications of that determination. there isn’t any implied need for symmetry between the winning team and the last place team, so i would turn the question around and ask “why *should* how the winning team is determined (playoff bracket usually) have anything at all to do with how the worst place team is determined (some Draft Pick Allocation system)?” It seems like an odd demand for symmetry. -the classic argument for giving the worst teams the best picks, as i’ve understood it, is that it better supports rebuilding attempts, buoys parity and helps prevent a permanent have/have-not stratification. I think the classical argument would go something like: the best team is defined as the one that wins or the best team not winning the championship doesn’t have any of the negative effects that the worst team not getting the bets picks has or something. I don’t like the PP system. And I don’t even hate all the owners in my league who fail to set there lineups and are impossible to trade with. Bench players going off and teams being terrible is a part of the NFL as well a natural part of fantasy. I don’t encourage it by any means but I accept it for a couple teams out of my 14 team league. For my league tanking is allowed, you paid your money you can lose if you want, the priority has to be put on winning! Saying that, there are rules with it. I don’t allow tanking once its playoffs for losers, the winner bracket is responsible for still setting its lineup, but I go through and set optimal lineups if not already done in the loser bracket. This means in my 14 team 8 winner playoff system that by losing you can guarantee yourself a top 4 pick (bottom 6 are losers but the 2 best receive byes out of the loser bracket locking them into 5/6th overall pick). That I assume most years, with the exception of this unreal 2017 class, doesnt hand you sure fire pick like Zeke/Gurley/Cooper. Picks 3 and 4 aren’t always on that level. I have had issues with non payers (my league is full of friends so kicking isn’t something we like to do). To battle this I hand out losses, once again I stand by the priority being on winning games and championships. If the person chooses not to pay until about week 8 (trade deadline) time of the season other consequences like draft picks being taken away will come into play to prevent a not pay and tank method. Would love to hear some other peoples thoughts on any of this! This is exactly the reason I DO like PP, you are doing so much work just to get a meaningful system. I want to give the commish or myself as commish as little work as possible, its a hard job, I dont want to make it harder. Good on you for putting in a lot of work to get a fair system, PP is just automatic and completely objective. If yours works and your owners are happy with it and this its fair, go for it! In our 14 team Superflex/IDP/TE premium league (15 year old) 8 teams make the playoffs. The playoff bracket determines their respective draft order for the first round. The remaining six go into a lottery. The lottery gives the 3 worst teams, by standings, 6 names in the hat. The other three start with 4 names. Then Potential points and efficiency come into play by reducing the names in the hat. Essentially, you can try to “tank”, but there are no guarantees. One season, I had the worst record AND least PP and still wound up with Pick 1.04. The only way we can see to “hack” the system is to carry non-scoring players (Tebow, CJ, Lynch, IRs, etc.) on your bench roster. Even then….. no guarantees. “The 6 non-playoff teams will have their chances weighted in the lottery according to their position of finish in the standings. The 3 worst teams will have 6 names and the other 3 teams will have 4 names into the hat. The top 3 of the 6 teams with most Potential Points will lose 1 name each. The 3 of the 6 teams with the worst Efficiency Rating will lose 1 name each. The team that has their name pulled twice will be slotted the 1st pick. This process will continue until the order for the 6 picks are determined. After the 1st Round has been determined, each round thereafter (2nd through 6th) will take a worst to first draft order. The lottery is for the first round only. Love using PP for draft order! I believe it is by far the best way. One of Nathan’s arguments against PP was, it hurts the owner who is bad at setting his weekly lineup. To me that’s on him as an owner. Why reward him for being bad at it? In our DLF Bustapoolza league, the non-playoff teams hold a tournament for their draft position while the playoff teams fight for the championship. This is an awesome idea imo. It extends the season for everyone- down to the last week, and encourages having a strong roster if want to have any hope of competing at the end.